Brand management is comprehensive vigilance, adjusted to market conditions and distribution realities. Crisis control is no doubt a major part of brand management. Odwalla is an excellent example of good brand management. Because Odwalla wanted to provide juices that retained their natural flavors and nutrition, it didn’t pasteurize them. But the company ran into problems when consumers got sick from bacteria found in their juices and its sales dropped a whopping ninety percent. 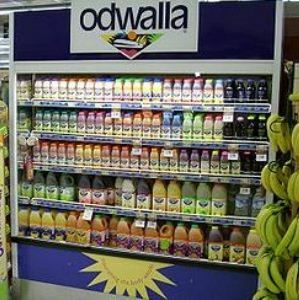 Odwalla managed its brand brilliantly. It adopted flash pasteurization and other sanitization procedures and it communicated these changes to the public. The general public and the media responded in a very positive manner to an action like this. They like to see companies handle crises with an apology, an explanation, and a solution going forward. In doing so, Odwalla saved the brand and actually made it stronger. Brand management also includes protecting your brand. You have to protect it not just from mishaps, but also from competitors’ claims and distribution problems. When Toyota experienced parts shortages following the earthquake and tsunami in Japan, the company faced a significant risk to its global operations in all three of its brands (Toyota, Lexus and Scion). The problem left an impression in the minds of the general public that there could be future delays in obtaining Toyota parts. Countering this impression and protecting Toyota’s brand required a lot of ongoing brand management and Toyota is doing it right. As a result, they continue to compete globally with automakers like BMW, GM, Daimler, Audi, Ford, Honda and others. Volkswagen has announced the goal of becoming the biggest automaker in the world. The general public heard that pronouncement and had a reaction to it. Anyone who bought a VW felt validated. Clearly, part of their brand management is to validate those who made the purchase and to communicate stability and commitment. Brand management is not just crisis control and protecting your brand’s reputation. Successful brand management also includes every facet of your brand. Answers to the following questions will set you in the right direction toward good brand management. How are you positioning your brand? How are you distinguishing your brand? How are you adding value to your brand? How are you keeping your brand relevant and current? How are you communicating your brand’s attributes to your buyers, the distribution channels, and the general public? What are you doing to contribute to your brand ethos? What does your brand stand for beyond the product you offer? How are you going to price your brand? And how are you providing validation to your buyers? In my experience, how you manage crises affecting your brand and how you protect its image is a major part of brand management. But brand management also encompasses all aspects of building and maintaining your brand. Of course, there’s much more to say about this subject. What’s been your experience? Michael Houlihan, co-founder of Barefoot Wine, the largest wine brand in the nation, invites you to join the discussion on Brand Management with your comments, thoughts, and opinions below.